Where medical marijuana is concerned, most dispensaries have plenty of food with medical marijuana baked into it and cannabis available in plant form for smoking. You’ll find that many people prefer to smoke it. Obviously, smoking anything isn’t particularly good for you. You’re inhaling smoke – which contains particulate matter – into your lungs. While smoking marijuana hasn’t proven nearly as dangerous as smoking cigarettes, some people object to smoking in general and prefer to eat it. There are also people, however, who greatly prefer to use marijuana. Here are some of the reasons why people do prefer to smoke, in some cases. One of the advantages of smoking marijuana is that you can very precisely administer the dose of marijuana you want. When you eat marijuana, whatever you’ve eaten will eventually work its way into your system, whether you ended up eating more than you wanted to or not. When you smoke marijuana, you can just stop smoking whenever you feel like you’ve had enough. When you’ve had enough, use one of these Glass Pipe Bowl Savers! This makes it easy to self-administer your dosage and, if you have too much, you can just quit smoking and relax. Vaporizing is an option for smoking marijuana. Using this method, the active chemicals in marijuana are vaporized off the plant, which is quite a bit different from the smoking process. When you smoke, the marijuana is actually combusted, which releases the particulate matter. Vapor is just a vapor: there isn’t any particulate matter in it. Vaporizing is very popular with people who don’t want to smoke but who also don’t like eating marijuana. It feels much lighter than smoke going into the lungs and tends to make people cough less than marijuana smoke. Law enforcement agencies have tried to lie about marijuana in just about every way imaginable. They tried, at one time, to say that smoking marijuana was much more dangerous than smoking cigarettes. Here’s what makes this such a pernicious lie. The lie is usually based on the fact that, according to some research, there are in excess of 400 different chemicals that are produced when marijuana is burned. Some of these chemicals are identical to what you would find in cigarette smoke. As NORML points out, water contains hydrogen and oxygen but that doesn’t mean you can breathe it. What’s going on here is a sophisticated sort of misdirection. Basically, it’s as dimwitted as saying that anything that contains “chemicals” in it is somehow bad. Everything contains chemicals. Marijuana smoking does contain some things that aren’t exactly good for you, but that doesn’t mean that it’s as dangerous as smoking cigarettes by a long shot. Many people have figured out that many of the hazards that they have been warned about regarding marijuana by law enforcement agencies, anti-drug groups and so forth are nothing more than complete fabrications. 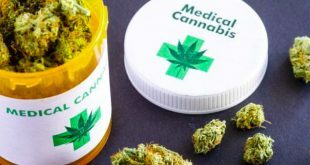 Because of that, many people smoke marijuana because it gives them the relief from whatever symptoms they are suffering and because, especially compared to many other drugs on the market, it has few side effects.